Tyndale House Publishers, 9781414325996, 256pp. Now established in her quirky British village, Savvy works hard to get an article with her own byline published in the school newspaper. When an attractive and mysterious boy asks her for help with his school work, Savvy is slowly pulled into his circle and soon finds out that the wrong set of friends—boys and girls—can influence her own behavior. Following her own advice to cut ties with a charming bad boy would mean abandoning her dearest wishes, and it just doesn't seem as wrong as it feels. Is it? Read on for surprise twists throughout the book London Confidential is a new series for young girls. In the series, British fashion, friendships, and guys collide as an all-American teen girl learns to love life and live out her faith. 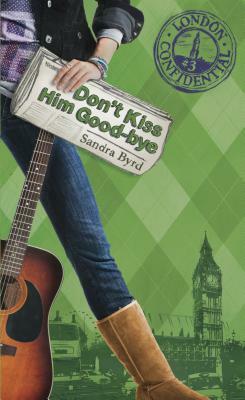 The series follows Savvy's entertaining attempts to fit in during her first year at a new school in a new country.